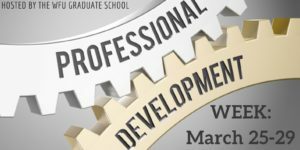 For the first time, the Graduate School of Arts and Sciences is hosting a week devoted to YOUR professional development. It’s coming up the week of March 25 with events throughout the week. Please review the events planned below and RSVP today to reserve your spot! We hope you can join us for one or all! These events are open to all Wake Forest graduate students! 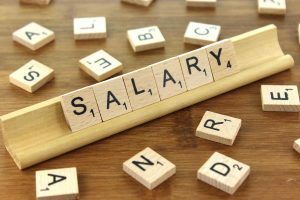 This workshop will cover strategies and tactics to address the awkward conversation of negotiating a salary. You’ll leave equipped to engage in the salary conversation with confidence. FREE professional quality photo suitable for all your digital needs. Professional attire (from the waist up) is recommended. Sign up for a time slot HERE. This workshop will equip you to know what to expect, how to prepare, or what the interviewer expects from you. 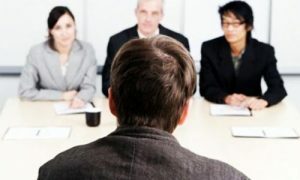 You’ll learn what makes an interview successful, the types of questions to expect, and how to effectively prepare. Drop by with any and all questions you have related to professional development! Linda Whited is available at this time. *Please note: Salary Negotiation & Interviewing for Success have the same content but are offered at different times. Attending the Free LinkedIn Headshot event? Sign up for a time slot HERE. Questions? E-mail Linda Whited (whitedlm@nullwfu.edu).